Modern diamonds are rated by the four C’s: color, carat, cut and clarity. Each factor influences the retail cost, but what do they all mean? Color: A color scale is used to rate the color of diamonds. The scale begins at “D,” which is colorless, and ends at “Z,” which is a slightly yellow color. The price of a diamond is reflected by its rating on this scale. Carat: Carat is a measurement of the size of the stone. 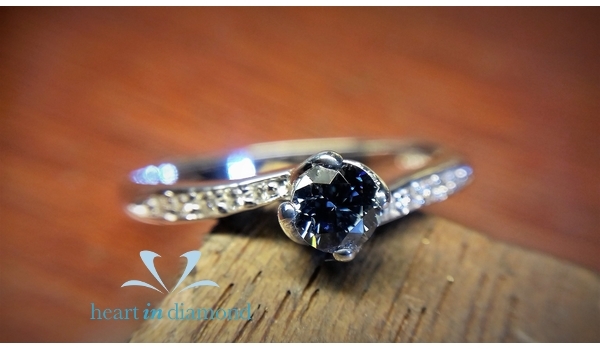 The term “total carat weight” is the sum of all of the stones found in a single piece of jewelry added together. Cut: Diamonds come in many different cuts, with round being the most common. Brilliant or cushion cuts are more exotic and may drive the price up. Shape is only one aspect of the cut, however. The cut is also rated by quality. Clarity: Clarity is a term jewelers use to grade a stone based on its quality. From a rare “flawless” grade all the way down to “included,” the scale is wide.